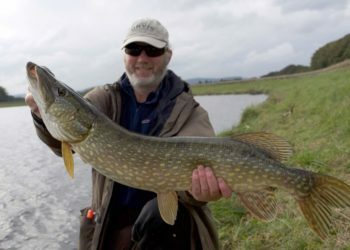 Pike grow to a big size in Scotland and we have an array of venues, some too secret to publish. If you are looking to experience this fierce predator, then we have the fishing guides, premium tackle, techniques and venues that deliver memorable fishing experiences in Scotland. Fishing is all catch and release and we do not advocate the use of treble hooks. Please get in touch if you wish to customize your fishing trip in Scotland. One of the best pike lochs for fishing in Scotland, close to Edinburgh, UK. Enjoy world-class guided pike fishing trips from boat or shore, fly fishing or spinning. Fishing lodge for lunch. Your fishing guide will be focused and dedicated to you and/or your guests. You will not be part of a multi-party group. Season – All year – fly fishing and spin casting.